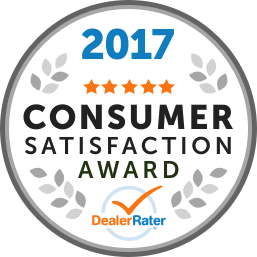 We just recently purchased a used 2013 dodge caravan from Charley Charlton at grove dodge and are so very happy with the whole experience. Charley made the whole process very easy and enjoyable! We will continue to purchase from grove in the future! Thank you for the great review!!! We are so happy you were satisfied with our service! Take care! Enjoy your new 2013 Dodge Caravan!! I highly recommend this dealership. I went here to look at buying a vehicle and I have never purchased a vehicle from a dealership before and it was honestly a fantastic experience. From the moment I walked in the door I was greeted by friendly employees and by people who generally wanted to help me get what I wanted. The salesman that helped me was great. His name was Matt and he really helped me to find what I wanted. He was friendly and helpful and truly wanted to help me get what I wanted. Matt was one of the main reasons why my experience there was so good but it was also the entire dealership. I ended up financing a vehicle and the finance manager was incredibly helpful and friendly as well along with everybody I talked to at the dealer. Matt was one of the main reasons why my experience was so great and I recommend anybody who is looking for a vehicle to stop in and talk to Matt. I walked out of the dealer extremely satisfied and I have what I want now thanks to Matt and all the great people at Jeep Chrysler Dodge Ram Spruce Grove. Thank you Trevor! We are so happy you are satisfied with your experience!! Enjoy your new vehicle! Take care! Terrible service department. They misdiagnosed my truck and charged me $1000.00 . I took it to another dealer who diagnosed problem by my description without even looking at it. They said very common problem. They fixed the problem for quoted price, no issues. I call Grove Dodge service department. They gave me the run around so many times. They said manager would call me , he never did. I called and left messages many times at service department and for the service manager. Unbelievably frustrating , terribly department. I cancelled my credit card payment and got my money refunded. "Change of opinion on this Dealer"
After problems at first it seems this Dealer has been generous to get us out of our old lease and into a new vehicle. 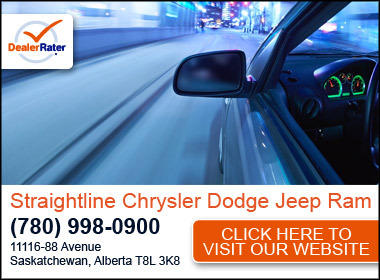 I don't trust Car Dealers but it seems that Spruce Grove Dodge Chrysler can be trusted. Chad Ferguson has been very patient with us. It appears that there are still honest Car Dealers out there. I will be sending my son to this Dealer and will consider buying our next Truck there next year. "Worst service technicians in history"
Spent 5000 in repairs, car has had to go in six xxxxing times kHz they can't get anything right. Clutch was done and the inspection plate was not put back on the bell housing, water and sand dirt got into it in the flywheel and clutch wrecked that. Front end was clunking, I told them it was the control arm ball joints, they said it wasn't and changed all the tie rods.... Clunking was still there after the third time of dropping it off for this issue they said "ohh your control arm ball joints are gone"..... So then they put parts in they don't need to change then also xxxx that up... Steering wheel is not centred car is pulling hard to the left. Has been in 3 times for the alignment they still can't figure out how to fix it. Then the master cylinder goes after the clutch was put in. I supplied an aftermarket one and they said they don't know how to put it in????? So they put am oem one in???? Then I get the car back and the brakes don't work kuz they never blead any of the lines or cylinder and It installs the same way as a factory one????!!!! And then I get the car back and they didn't bleed any of the lines so my brakes cut out and I almost smash into someone at a light. Anyways this is just the start of the headache of this xxxxing place. Don't ever use this dealership everyone who works there are a bunch of hacks. I highly 110 percent do NOT recomend this dealership thanks spruce grove dodge for the worst service in history! "Great Jeep yet Poor Sales"
Bought a Jeep from them not long ago and during the time my wife and I were trying to get as much for our trade in as we could, we were told clearly by the Sales Manager that he was not ready to give us what we wanted for our trade. He told us that we would be better off selling the snow tires, that we had with our trade in, by ourselves since we would not be getting more for the trade in if we included the snow tires. (During the phone call today, he admitted to saying exactly this!) I was not exactly happy with that but wanted the Jeep enough that my wife and I went ahead with the deal. Since the deal, we have been getting phone calls and text messages from the dealership asking for the snow tires! I finally spoke with the Sales Manager on the phone today and the conversation with him went bad in a hurry. He started calling me a liar and said that he ended up giving me more for the trade than what he had told me earlier. I asked him to show me on the Bill of Sale that he had given me more for the trade than what was first agreed upon. He said that he could not because they had inflated the price of both the Jeep and the trade in so that the bank would except the financing. I said that I had no problem giving them the snow tires if he could show me the extra for the trade in. He then continued with calling me a liar and continued to berate me about the snow tires. Too bad that the Sales Manager treated me like this; I was going to give the dealership a better rating! :( Our sales person, Tom, has done everything he could to keep us happy. It's too bad that he is in the middle of this! :( I don't recommend buying any vehicles from this dealer, unless you want to be harassed and called a liar after the sale has been made!